Cross capped an incredible debut year as a professional by winning the World Championship final at Alexandra Palace on Monday night, and headlines four new faces for the 2018 Unibet Premier League. World Grand Prix champion Daryl Gurney, Champions League of Darts winner Mensur Suljovic and 2017 UK Open finalist Gerwyn Price will also come in to make their Premier League debuts. Michael van Gerwen will be bidding to win his fourth Premier League title as the defending champion when the 2018 season begins at Dublin’s 3Arena on Thursday February 1. Van Gerwen and Cross are joined as automatic selections from the world’s top four ranked players by 2017 Premier League finalist Peter Wright and two-time champion Gary Anderson. Former champion Raymond van Barneveld joins Gurney, Suljovic and Price amongst the six Wildcard selections, alongside 2012 runner-up Simon Whitlock and former World Youth Champion Michael Smith, who both return to the Premier League field this year. 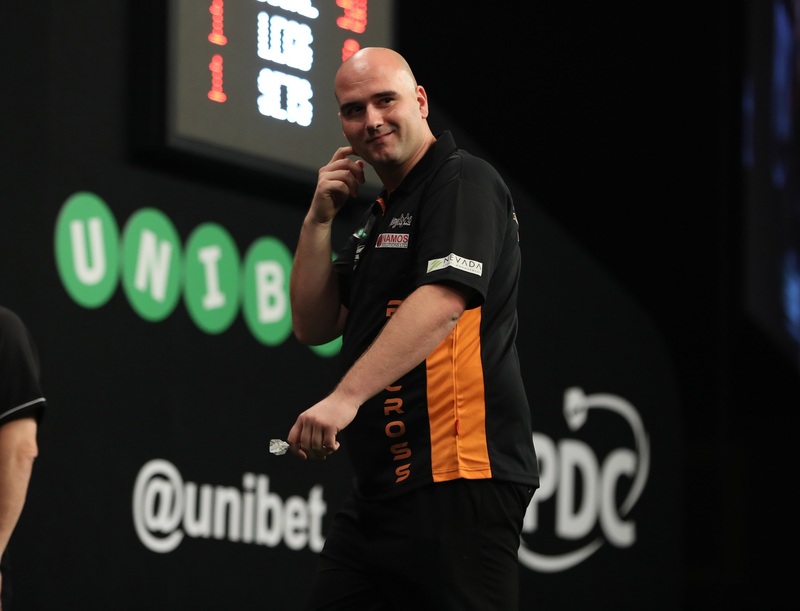 “It’s unbelievable – for Rob Cross to go into number three in the world takes away a selection problem. “The other six were really difficult to get because we had so many contenders, and so many great players who’ve been in it for a number of years. “Rob has got focus, he’s got ability, he’s got bottle. He’s a champion, he’s a winner and he’s going to love the Premier League. Hearn added: “Mensur is a fans’ favourite, he’s got a wonderful personality and he’s a winner. Look at his consistency over the year – Premier League selections are not just about the World Championship, they’re about results over 12 months. The ten players will face each other once over the first nine weeks, before the bottom two players are eliminated following Judgement Night at The SSE Arena in Belfast on Thursday March 29. The remaining eight players then meet for a second time in the league before the top four players progress to compete in the Play-Offs at The O2 in London on Thursday May 17. The Unibet Premier League will also visit Germany for the first time in 2018, with the Mercedes-Benz Arena in Berlin playing host to the event on Thursday March 22. Rotterdam Ahoy will also host a sold-out league night for the third successive year, as well as traversing the UK and Ireland over a four-month period. The 2018 Unibet Premier League season will be the first since the tournament was introduced in 2005 which will not feature six-time champion Phil Taylor, who retired following the World Championship final. Former champion James Wade, 2011 finalist Adrian Lewis, Jelle Klaasen and Kim Huybrechts also drop out of the Premier League after competing in 2017, while Hearn also revealed that Dimitri Van den Bergh and Jamie Lewis were considered for selection following their impressive World Championship displays. “Dimitri Van den Bergh and Jamie Lewis were on the shortlist,” added Hearn. “Maybe it’s a little early. Ticket information for the 2018 Unibet Premier League is available at www.pdc.tv/tickets.